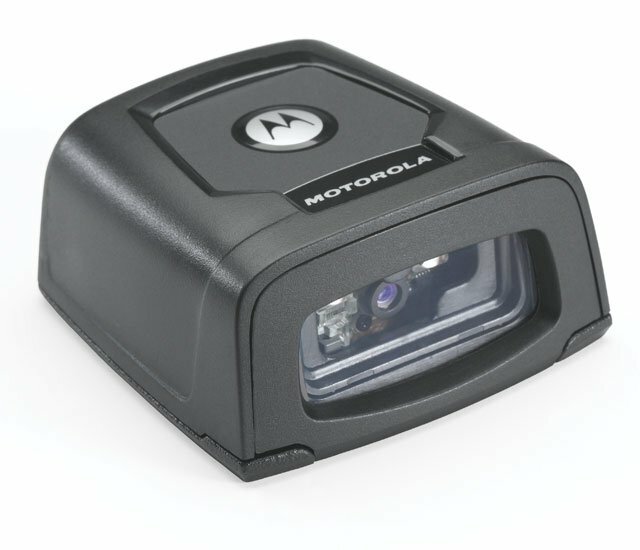 Motorola DS457-HD - SCANNER ONLY, Fixed Mount 2D Imager, High Density. Cables and Accessories Must Be Purchased Separately. These Include USB (Part# 25-58926-04R) Or RS-232 Serial Cables (Part# 25-58918-02R) and A Power supply (Part# PWRS-14000-253R). Need a barcode scanner I could put into a functional test fixture. Needed to communicate over RS232. Need to keep the cost down. The DS547 meet those requirements. Wanted to be able to read ASCII from the scanner and control it from the computer. Could figure out how to do both. Took a number of phone calls to Motorola to figure out I could not do both but came up with another solution using the same barcode scanner. Not the solution I wanted to implement but it is workable. I was concerned when the MS44xx family was retired. But the DS457 does everything the old scanners did, only better. The new scanners have a wider range of scanning when using near focus modes. Could use better documentation for the UART interface. The Motorola DS457-HD20009 is also known as MOT-DS457HD20009	or DS457HD20009	.